MSG Morton, is from Springfield Mo. He graduated HS in 1981 and joined the United States Army in 1982. Army schools include: US Army Airborne School; Air Assault School; Ranger School; Drill SGT School; Long Range Surveillance School; Primary Leadership course; Basic Non Commission Course; Advanced Non Commissioned Officer Course; Long Range Surveillance Medical Course; Combat Lifesaver Course; Unit Armor Course; and the Equal Opportunity Leadership course. 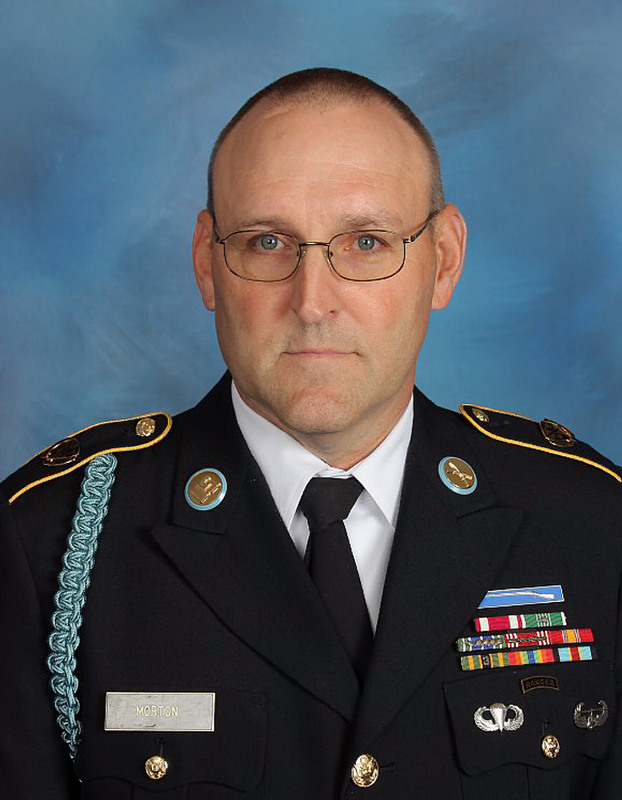 MSG Morton retired from active duty after 20 years in service. Expert Infantryman badge; Meritorious Service Medal x3; Army Commendation Medal x5; Army Achievement medal x7; Army Good Conduct Medal x6; National Defense Service Medal; Officer’s Professional Development Ribbon with number 3, Army service Ribbon; Overseas Service Ribbon x3 . Retired with 20 years in service. MSG Morton has served as an Army JROTC instructor at Fishburne Military school for over 15 years. During this time he has won the Stroehmann Award (2013), and had the Yearbook (TAPS) dedicated to him in 2014. Under his coaching, the FMS Drill team went to (Best Of the Best) Regional Drill competition in 2015; the FMS Raiders went to (BOB) Regionals in 2013, 2014, 2015, and in 2016. MSG Morton has been the FMS Rappel Master for the last 10 years. He is also a 1st Responder Instructor for the Corps of Cadets and a CDL school bus driver for the school past 15 years.